When an individual is arrested and taken to jail, a bail amount is set for him or her. Bail is the money that the individual can pay in exchange for being released from jail while his or her case moves through the criminal justice system. Bail is not always money. Sometimes, it is a piece of property with monetary value given to the court so the individual can be “bailed out.” It can also be made in the form of a bond, a promise made by the individual to pay the specified bond amount if he or she does not appear in court. Bail money is money paid to assure the court that the individual will appear in court when ordered to do so. If he or she does not make the required court appearances, the court can keep this money. The court may also issue a warrant for the individual’s arrest. If you are arrested on the suspicion of committing any criminal offense, the first thing you need to do is start working with an experienced criminal defense lawyer to develop your defense strategy. In Florida, each county has a bond schedule, a set table of bail amounts for each specific charge. Bail amounts can be as low as $250 or as high as $15,000 or more. 24 hours after an individual is arrested, he or she meets with an appearance judge, who may raise or lower the individual’s bail amount. 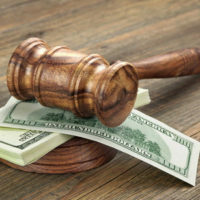 Factors considered to raise or lower the bail amount include whether the individual poses a danger to others, whether he or she has close friends or relatives in the community, whether the individual has a job in the community, and his or her previous criminal record. In some cases, an individual may be released without having to post bail. This is known as being released on one’s own recognizance. Certain offenses do not have corresponding bail amounts – for these, the individual cannot be released on bail. A judge can choose to deny an individual the opportunity to be released on bail if he or she feels the individual could potentially flee the jurisdiction. The Eighth Amendment states that it is unlawful for the government to use bail money as a way to raise funds or to punish individuals for their alleged offenses before they are found guilty. It states that governments may not impose excessive bail amounts against individuals arrested and placed in jail. Working with the right criminal defense lawyer can make a significant difference in your case’s progress. An effective defense strategy can keep you out of jail or even without a criminal conviction. To start discussing your case in greater detail and determine the best way to proceed with your case’s defense, contact our team of Miami criminal defense lawyers at Ratzan & Faccidomo, LLC today to set up your initial consultation in our office.